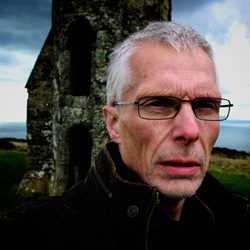 Julian Wolfreys is Professor of English at the University of Portsmouth (see his academic profile) and a member of The Nightwatchmen (see below). His research covers the nineteenth century and English modernism, with particular interests in inter- and transdisciplinary approaches, while also being informed by continental philosophy from Kant to the present day, and with a particular philosophical interest in phenomenology. He has published on Romanticism, Victorian literature, Modernism and postmodern literature and culture, with particular interests in questions of identity and subjectivity, the politics and poetics of urban representation, the rural subject in English culture, perception in literature, and the relationship between language, music and that which cannot be expressed directly. He is currently working on a study of Victorian poetry and the influence of German Romanticism, and the question of place and dwelling in novels of the late nineteenth and early twentieth centuries, from the perspective of the concept of "dwelling". But our advice for the general reader is to start with his novel Silent Music or his poetry Draping the Sky for a Snowfall and proceed from there. 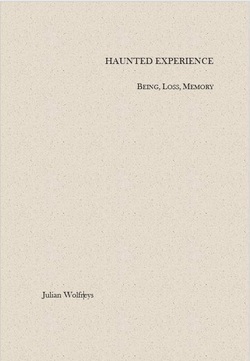 For his new book on the phenomenology of loss, visit Haunted Experience. Julian Wolfreys' bilingual poetry collection, The Grand European Bestiary, was published for the 7th International Literary and Theatrical Festival/Conference BETWEEN.POMIĘDZY in Gdansk, in May, 2016. It is a collection of mostly new poems, the inspiration of which comes from travelling in Europe, and observing the quirks, idioms and idiosyncrasies of different regional cultures, each of which have unique expressions of collective selfhood, distinct from, and yet somehow indebted to shared European heritages. Seen through a prism informed by European aesthetic and philosophical traditions, surrealism, psychoanalysis, phenomenology, and older folkloric traditions that traverse national borders, The Grand European Bestiary occupies a shadow world of singular reflections, the motivation being that, within the quotidian, inside the doxical and phatic moment, there is always the seed or kernel of a quiet, gently subversive and occasionally comic, sometimes terrifying moment of oddity, and, with that, the expression of the bizarre. The poems of this collection embrace the odd within the everyday, and filter such instances and the events that give them context through a world made of figures and subjects not quite human and not quite animal, yet having aspects, features of both. Julian Wolfreys' band The Nightwatchmen are a collective of musicians, whose influences are folk, progressive, psychedelic, chamber pop, ambient soundscaping, and the more melodic end of the avant-garde and experimentalism. They are influenced equally by English and European folklore, traditional song and cabaret, drone, the eccentric and surreal, English satire and Northern European sensibilities.